Light painting photographer Michael Ross, a.k.a. 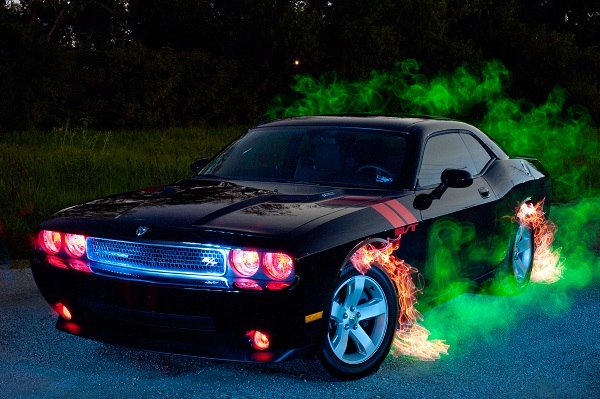 TXPilot, is smarter than you and thank sweet baby Jesus he found light painting photography. Coming from an IT background you would think he would be able to come up with some gadgets, but Mike has taken it to the next level with inventions like The Digital Light Wand. Not only is he a Mad Scientist innovating light painting tools for the rest of us he also uses his genius to create some super cool images. 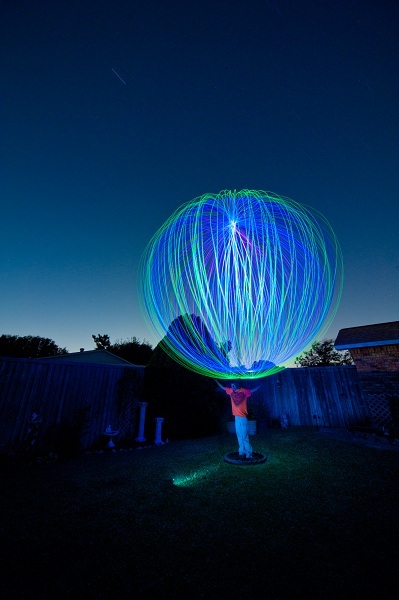 Mike is known for his willingness to share his inventions and is always ready to help out a fellow light painter. He has written the book “LIGHT PAINTING PHOTOGRAPHY – A Complete How To Guide for Beginners” and founded “The Little Photography School” that teaches light painting specific courses along with all the other classes you would expect. Read Mike’s full light painting photography interview below, check out some of his images and for even more information check out his website HERE. 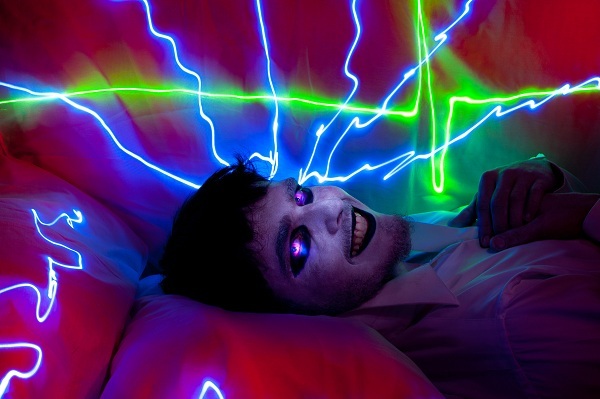 Light Painting Photography Interview with Michael Ross. LPP ∇ What is your name? LPP ∇ Do you have an alias that you go by? MR ∇ TxPilot on Flickr and a few other places on the internet. LPP ∇ Are you a soloist or are you part of a Light Painting group? If a group who is in your group? MR ∇ I am a soloist mainly, but I do get some help from my sons, Kevin and Cameron, sometimes also. Cameron (http://www.flickr.com/photos/txmini/) is also into photography and has created some of his own Light Painting Photos. I have also had the pleasure of shooting with several other Light Painting Photographers scattered around the U.S. and Canada. LPP ∇ What education do you have? MR ∇ Some college and technical and leadership schools in the U.S. Navy also. I was in the Navy as an Avionics Tech which has helped tremendously in my Light Painting work. I have had no formal training in photography. LPP ∇ What is your occupation? MR ∇ I had a very successful career in I.T. for over 30 years and recently left all of that behind to open a photography school called Little Photo School (http://www.littlephotoschool.com/) . I have spent the last several months working out a detailed business plan and I am currently in the process of pinpointing the right location to get it going! Very exciting stuff! LPP ∇ How long have you been a photographer? MR ∇ I have had a camera in my hands most of my life and dabbled in the intricacies of it all every now and then. Every once in a while I would get lucky with some good shots. I started getting more serious about it in the early 90’s but really started getting into the more professional side of things about 3 years ago. This photo of Hale-Bopp Comet (http://www.flickr.com/photos/txross/6613797781) was taken back in 1997 on film. LPP ∇ How long have you been light painting? MR ∇ My first attempts at light painting where with my nieces during a family get together over the Independence Day Holiday in 2009. Probably the same way a lot of us get into it, using sparklers to draw light trails during long exposures. 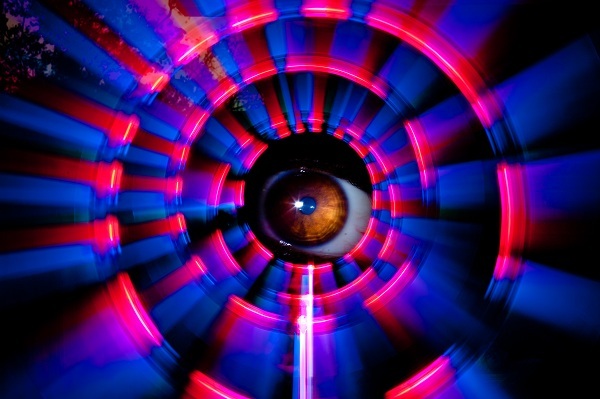 LPP ∇ How did you discover Light Painting Photography? MR ∇ After playing with the sparklers for a bit, I ran across a Light Painting image on flickr created by TigTab http://www.flickr.com/photos/tigtab This image (http://www.flickr.com/photos/tigtab/3976058678/in/set-72157622106954112/), which was created using cold cathodes and light stencils literally just blew me away! At that point I started digging more into it and experimenting on my own with different light sources. I ran across images created by Cindi and Austin Poole (http://www.flickr.com/photos/24491005@N06/sets/72157609144669334/ ) as well as Jeremy Jackson (http://www.flickr.com/photos/tackyshack/) and Duane Schoon (http://www.flickr.com/photos/duaneschoon/) which just helped to drag me into it even more! I became addicted to it very quickly! 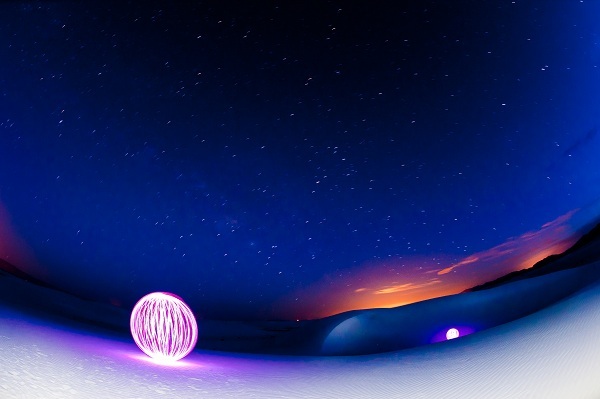 LPP ∇ What was your first Light Painting Image? Everything prior to that was just experimentation with different lights and sparklers. LPP ∇ Film or Digital? MR ∇ Both. Digital for Light Painting primarily, but I also shoot Film as well. The instant feedback that you get from Digital is, in my opinion, what has really made Light Painting, and photography in general for that matter, take off over the past several years. But, that technical challenge of getting an image right the first time with film is a great thing as well. It is hard to beat film in certain areas of night photography, particularly when it comes down to really long exposure times. LPP ∇ Do you believe in aliens? MR ∇ I have seen them in many places! My hallway (http://www.flickr.com/photos/txross/4317547233/in/set-72157622234691540) , my backyard along with an alien Dog! (http://www.flickr.com/photos/txross/6335969859/in/set-72157622234691540) , and in Roswell, New Mexico! 😉 Even the Walmart in Roswell had a large sign on the front of the store stating that “All species welcome”, so they must exist right? Seriously, after sitting in the middle of the desert, looking up at the Milky Way and capturing images like this (http://www.flickr.com/photos/txross/5960153070), and thinking about the Rare Earth Equation and The Drake Equation. I think anything is possible! Even the possibility that everyone is wrong in making assumptions only on what is “known”, or thought to be known. One thing is for certain, it is impossible to rule ANYTHING out! 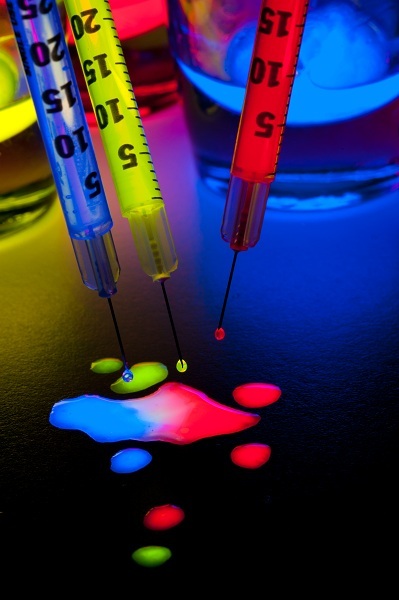 LPP ∇ What is your standard Light Painting Photography setup? MR ∇ I shoot with a Nikon D700 and the lens that I use the most with Light Painting Photography is a Nikon 50mm f/1.4. I really like the way that lens handles the star burst effects with its aperture blade configuration. But it is sweet lens no matter how you slice it! I do use other lenses if the situation calls for it though and I have even used a 70-200mm zoom for a few shots and a 16mm fisheye as well. Of course a remote shutter release is pretty much mandatory for longer Light Painting work and a good tripod as well. LPP ∇ What is your favorite color? LPP ∇ Who influences your Light Painting Photography work? MR ∇ Just about everyone! It is hard to pinpoint a specific “style” with my light painting images. There are specific details that I add to my images that could identify my work but I have a tendency to jump around a lot with different subject matter and different techniques. I like experimenting with a variety of subjects, tools, and techniques and that is probably fairly obvious if you look at my work. But just about every Light Painter I have run across influences my work in one way or another. 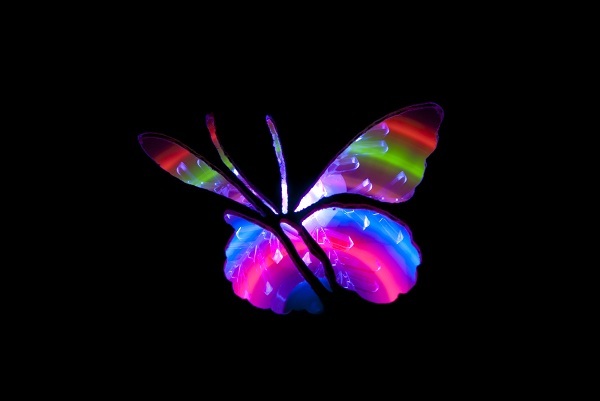 LPP ∇ Who is your favorite Light Painting Artist? MR ∇ That is a tough one. 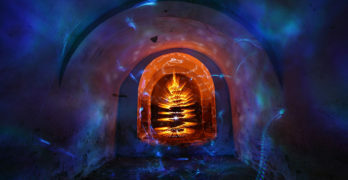 I have a great respect and admiration for many different Light Painting Artists! They each have their own style and spin that they put on their work and there are images created by many of them that I would consider great works of art. It is impossible for me to hold them up to each other to compare them because they are all so different. However, there are some that I follow more closely than others simply because they put a lot of planning, preparation, and thought into their work. Troy Paiva (http://www.flickr.com/photos/lostamerica/), TigTab (http://www.flickr.com/photos/tigtab/), Blacklodge (http://www.flickr.com/photos/thebadseed/), Dennis Calvert (http://www.flickr.com/photos/denniscalvert/), Danny (http://www.flickr.com/photos/catch-light-ca/), Julian Cash (http://www.flickr.com/photos/juliancash/), Denis Smith (http://www.flickr.com/photos/biskitboy/), Julian Marshall (http://www.flickr.com/photos/julian_marshall/), JanLeonardo Wöllert (http://www.flickr.com/photos/lapp/), are all great examples and that is just a partial list! LPP ∇ What is your favorite food? MR ∇ Asian food primarily. Vietnamese Phở (a beef noodle soup) is right up there at the top along with spicy Thai Red Curry! But I can also go for a nice rare steak or BBQ just about any time also! LPP ∇ Do you create in any other mediums other than light painting? If so what are they? MR ∇ Yes, I do pencil drawings, pen and ink drawings, and have also worked with acrylics on canvas and water colors as well. I have an interest in wood carving also and have created some pieces in that area. On top of that, I have been a musician since I was very young and have played guitar, keyboards, trumpet, French horn, and the Ukulele as well! I still play the guitar and Uke every chance I get. LPP ∇ What is your favorite Light Painting Photography image that you have created? MR ∇ I think that the one that I personally like the most is the photo I call “Stoned Again!”. http://www.flickr.com/photos/txross/4887489438/in/set-72157622234691540 This was a photo that was created for a small Light Painting contest with the theme being “Mythology”. So I chose to create a magical scene were Medusa was turning a warrior to stone with her powerful gaze. So much planning, preparation, and experimenting with different techniques went into that shot that it turned into a major production. Besides having my son and future daughter-in-law helping me with the shot, I had help from friends as well in helping me to get ready for it. There is even a long story behind the title itself. So the reasons I like it are more for personal reasons than just the image itself, but I am pleased with the overall outcome. 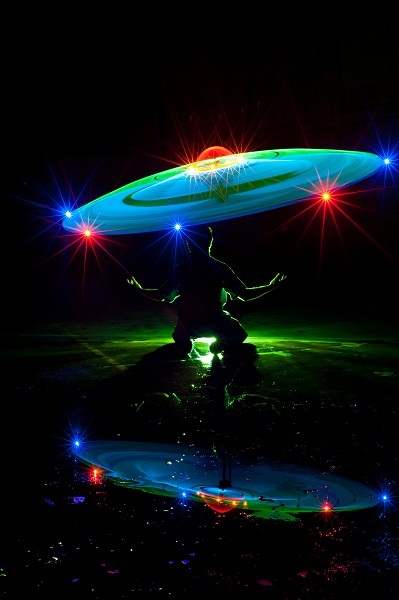 LPP ∇ What is your favorite Light Painting Photography image of another artist? As a side note, I have started collecting Light Painting Photo books that have been created by Light Painting Artists. There are a lot of great LP artists out there and the number is increasing all the time which is simply fantastic! The more the merrier! 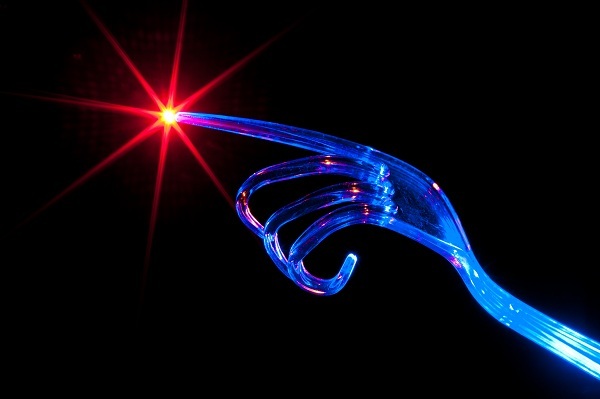 LPP ∇ What is the most difficult part of Light Painting Photography? MR ∇ To me, the most difficult part of Light Painting Photography is getting the exact effect I am looking for with specific light tools and getting everything spaced and aligned the way I want it. Dealing with live subjects in a long exposure shot can also be a bit challenging. 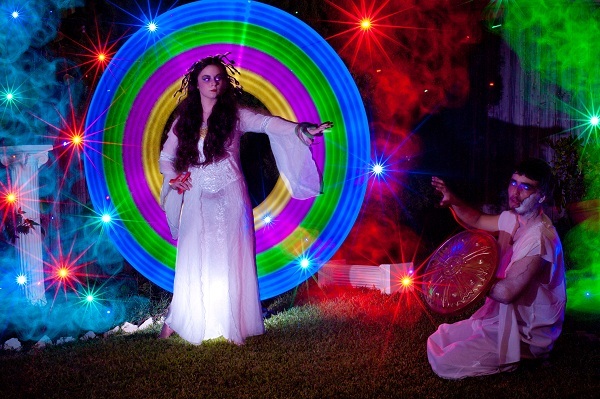 LPP ∇ How do you get your Light Painting Photography work seen? MR ∇ Primarily via the internet, my website, Flickr, 500px, Google Plus, YouTube, etc. 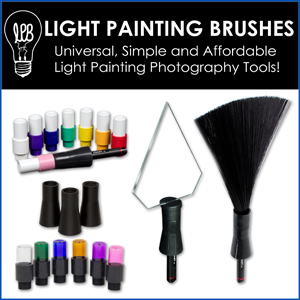 LPP ∇ Do you sell your Light Painting Photography work? MR ∇ Yes, Fine art prints of my work are available via my website. LPP ∇ Are you represented by a gallery? MR ∇ Not at this time, but I am working on that. LPP ∇ Where can we see more of your work? MR ∇ Most of my work can be found on my personal website or on my flickr account. LPP ∇ What is your favorite quote? LPP ∇ Who is your favorite artist? 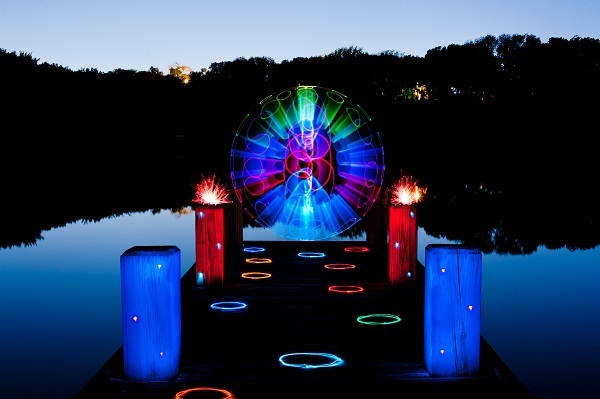 LPP ∇ What is you favorite activity other than light painting? LPP ∇ Tell me a good light painting story. MR ∇ I have met up with several light painters that I have met online and have had the pleasure of doing collab sessions with about 17 or so different Light Painters to date! They are all great people and there is a great story to tell about each of the sessions! But probably the best (and craziest) meeting that I had was with Danny (http://www.flickr.com/photos/catch-light-ca/) of Catch-Light Photography (http://www.catch-light.ca/) in south central Ontario, Canada! This trip started with me tagging along with a friend of mine to the big air show (AirVenture) in Oshkosh, Wisconsin at the end of July in 2011. My friend owns a super sweet airplane and it is a treat to fly with him every chance I get! But being able to fly from Texas to Wisconsin with him and then go to one of the biggest and best air shows in the world was a huge treat! Well, it just so happens that this friend has a daughter that has chosen to live and go to school in a little town in Ontario, Canada, about an hour away from Toronto, and he said we would be stopping in and spending a day or two with her on the trip as well. So I sent an email to Danny to see if he would be available to meet up while I was there. I lucked out with it all and everything fell together with the timing so Danny and I made plans to meet up during this trip. Danny also had the perfect place for us to go! So, after 3 days of wearing myself out, walking around and taking photos at the air show and getting my “aviation fix”, we flew to Port Huron, Michigan, rented a car, crossed the border into Canada, and started the drive to little town that my friend’s daughter lives in. I dropped him off about noon and took off to meet Danny in the little town where he lives in Stayner, Ontario which is just off the south end of Georgian Bay. It was about a 4 and half hour drive to get to where I was going. I met Danny at a coffee house and we were soon off on another 3 hour drive north to the small town of Burk’s Falls, Ontario. I had such a great time shooting with Danny that I would go out of my way to do it again! And that WILL happen someday! It was awesome! (Did I say that already?) After we left, I drove the 7 and half hours back to pick up my friend and we headed back to the airport to make our way back to Texas. I was absolutely exhausted, but it all well worth it! LPP ∇ Tell me a nightmare light painting story. MR ∇ I haven’t had anything happen that I would call a full nightmare yet, but I am sure my turn is coming! I have been scared to point of finally shutting things down and getting the hell out of Dodge a few times though! One was while out in the middle of the Sonoran desert, East of Tucson, Arizona, just after midnight in an area where Cougars and Mexican Grey Wolves were seen regularly. That in itself was enough to keep my adrenalin pumping! It always seems like when you are out in an area like that, the sounds around you are amplified and you always get the feeling that you are being watched! All of this after getting a few unexpected “surprises” while doing a bit of exploring earlier in the night. Let me tell you, when you walk up to a Saguaro Cactus after dark and notice a hole in the side of it, and then you shine a light inside to see how deep the hole is and suddenly see a large reptile peering back at you from inside, it can REALLY get your heart racing! Nothing like having a large lizard staring you down just inches away when you really were not expecting anything to be in there! Not really a nightmare, but I don’t want THAT type of nightmare! LPP ∇ Have you ever been arrested or ticketed for light painting? MR ∇ Not yet! But I was beginning to think that was going to happen when a Travis County Sherriff and some Austin Police officers came up on us during the Texas-By-Light tour. 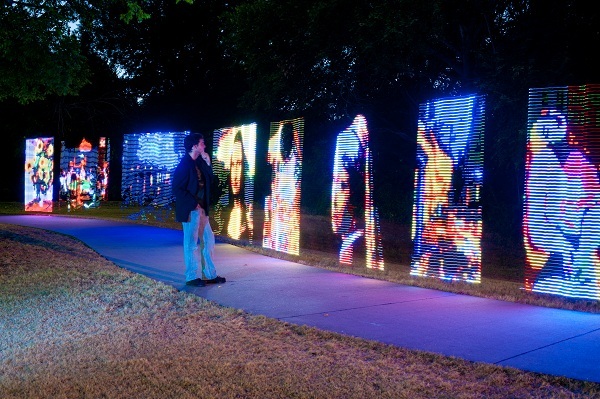 This was in May 2010 when Marko93 was here from France meeting up with Light Painters in different areas of Texas for the filming of the Texas By Light project. Other artists included Marko (http://www.flickr.com/photos/marko-93/), David Wilhelm (http://www.flickr.com/photos/artandsteel/), Matt Crawford (http://www.flickr.com/photos/earsaregood/), Jake Ramirez (http://www.flickr.com/photos/sumerianlights/), and several others as well. We were all at an old railroad bridge that Jake had created some images at prior to the meeting. The bridge is located in a city park which closed at 10:00 PM and it was well after midnight by that time. The bridge is known by the law enforcement there to be a popular drug hangout so when they saw a crowd of cars and people there, they were definitely suspicious. I talked to them for a little while and explained what we were doing while showing them some light painting images that I keep stored on my phone for such occasions. They were skeptical and some of the props that were laying around on the bridge such as skulls and other things didn’t help the situation, but they finally let us continue but told us to get things wrapped up and out of there soon. LPP ∇ What do you say to people when they see you light painting and they ask “what the hell are you doing”? MR ∇ I am probably one of the few Light Painters that has actually had the opposite happen to me. While doing some Light Painting in an art district in Downtown Dallas, and actually in the middle of a shot, a guy walked past us on the sidewalk and said, “Doing some Light Painting! ?” I was shocked speechless!! That is the ONLY time that has ever happened to me. MR ∇ Usually when someone asks what I am doing, I will take the time to stop and explain it to them and show them the examples I might have on the camera or on my phone. LPP ∇ Where do you find inspiration for your Light Painting Photography? MR ∇ In anything and everything around me all of the time! I think that this is probably true with photographers in general but even more so with Light Painting Photographers, it is hard not look at things and think about how it would look light painted or how it might be used in light painting. LPP ∇ Who would you like to punch? MR ∇ I better keep that one to myself. Not many get the “honor” of being on that list and the list is not long at all, but those that do make the list have earned it! And they know who they are! LPP ∇ Who would you like to kiss? MR ∇ Ummm… I better keep that one to myself too! ☺ It is a self incrimination thing! Ha! 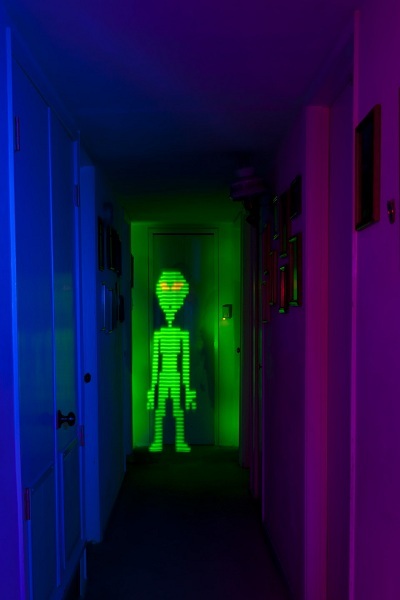 LPP ∇ Why do you Light Paint? MR ∇ It is the challenge and creation of art of that draws me to it! It is that moment when the image appears on the LCD screen on the back of the camera to reveal the final work. It is the disappointment of something not being just right and then doing it all over again! It is working towards that perfection. It is the work towards achieving the goals of creating an image that was only a part of imagination prior to that moment. It is the individuality of it. It is the awe of watching someone else create a light painting image for the first time and watching the magic in the eyes of those that see it happen. It is everything about it that is the reason I Paint with Light! LPP ∇ What is your favorite time to shoot? MR ∇ Dark:30! Actually, Anytime I can get time to shoot is my favorite time! But the later the better, particularly if I am in a public area that usually has a lot of people around it during the day. LPP ∇ What is your favorite subject to shoot? MR ∇ I like shots that involve people, but landscapes and cityscapes are also something I enjoy. LPP ∇ Where is your favorite place to shoot? MR ∇ The desert! Or anywhere where the Light Pollution is minimal. The desert is an awesome place to be in the middle of the night. The stars are, well, literally, out of this world! 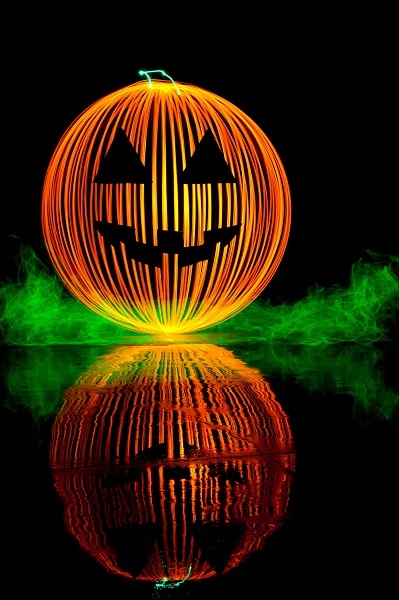 It is definitely spooky but really cool! 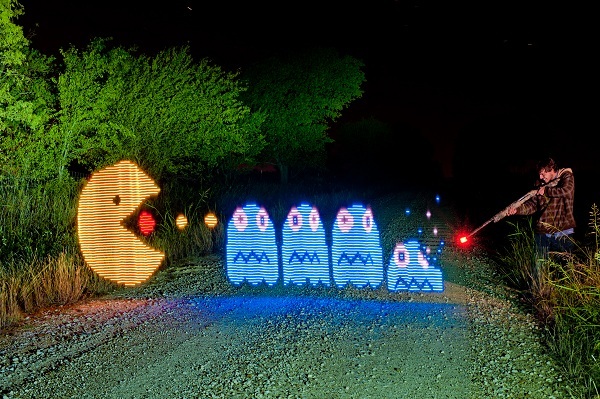 LPP ∇ If you could travel anywhere to Light Paint where would you go? MR ∇ There would be so many places that I would go if I could go anywhere. Canada, Alaska, Ireland, Australia, Mexico, Easter Island, Egypt…, the list is long! I would have a really hard time choosing only one place though but Easter Island would be really awesome! There are many places right here in the U.S. that I would love to visit and work some magic with as well. I will get there! One place at a time! 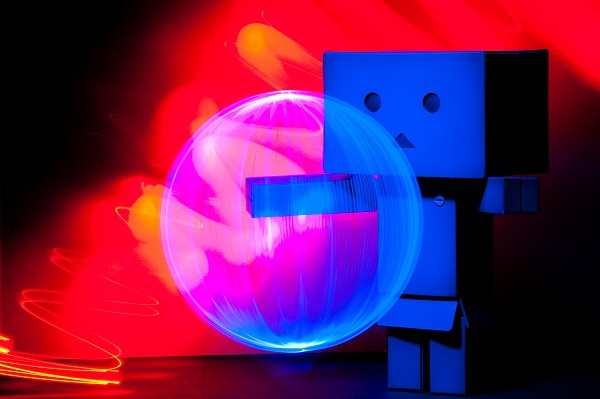 LPP ∇ Have you ever invented a Light Painting Photography tool? If so what was it and how did it work? MR ∇ Yes, several of them! The list is really too long to list them all here. I have been called the Guru of Light Tools on more than one occasion and called a Mad Scientist even more often! So that should tell you something! Even the people at Radio Shack have looked at me really weird when I have walked up to counter to check out in the past with hands full of LEDs and other electronic components. The most significant tool that I have created, and definitely the one I have the most work in to, is the Digital Light Wand which you have covered on your site (https://lightpaintingphotography.com/?s=Digital+Light+Wand) when I released the tutorial on how to make one (http://mrossphoto.com/wordpress32/light-painting/) so I won’t get into too much detail with it. 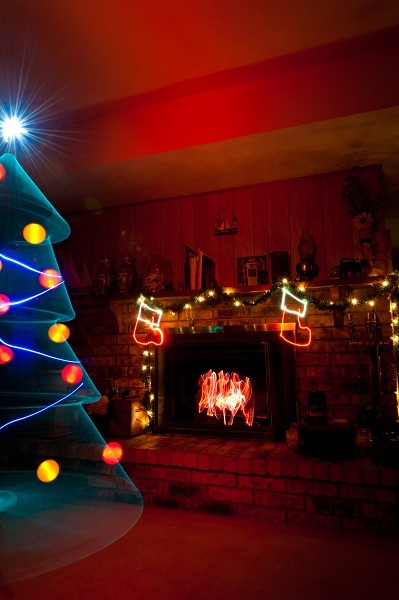 It is a programmable RGB LED light strip that uses an Arduino Microcontroller to control the LEDs in turning on and off and with specific colors in a timed sequence. I have a complete video and PDF tutorial on how to build one on my website. Another invention is one that I call the Light Painting Muli-Tool (http://mrossphoto.com/wordpress32/portraits/light-painting-multi-tool/). 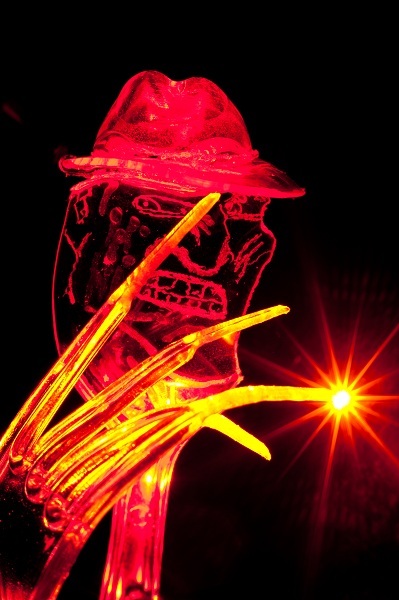 Others have called it “The Swiss Army Knife” for Light Painters. I have photos of it on my website as well. It is a tool that can be used for creating perfect orbs, circles, UFO’s and Domes among other things. I have also created many different types of light tools to do specific things such as calligraphy writing, creating small spheres, etc. I even created a small device to create a little 3 inch high orb and another one to create an orb that is 17 feet across and almost 6 feet off the ground! And yet another tool with levered arms to create an orb Snowman! Inventing new tools is part of the fun of Light Painting for me and I have a long list of ideas that will take many years to work my way through! For those tools that I have created already, I have photos of most of them on my website or my flickr site. LPP ∇ Do you ever get sick of explaining your work to people? MR ∇ No, not at all. I love spreading the word about this truly unique art form and it is personal mission of mine to do just that! I want the rest of the world to know about what we do! LPP ∇ How many times have you heard the word photoshop when someone was describing or asking about your work? MR ∇ Too many! And it does get annoying sometimes! But there are plenty of people out there that are just that way. They think that they know it all and they have it all figured out. I actually feel sorry for them in a way. If they are so closed minded that they don’t allow themselves to see other possibilities, they will miss a LOT of the beauty and wonder that is all around them! LPP ∇ What makes you happy? MR ∇ Learning something new and teaching others something that is new to them. LPP ∇ What makes you mad? MR ∇ People with closed minds that seem to have a problem seeing past their own ego. LPP ∇ What part of Light Painting Photography do you enjoy the most? MR ∇ The creative release. The discovery of new techniques and invention of new tools to make new things happen in the world of Light Painting. 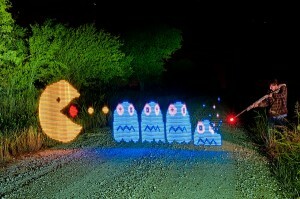 LPP ∇ What part of Light Painting Photography do you hate the most? MR ∇ Light Pollution! Some day the world will figure out that we don’t need to have all of the friggin’ lights on all the time! Of course, living so close to a metroplex that has 6.3 Million people in it (Dallas/Fort Worth), light pollution is something that I have to deal with all the time. But I am at least thankful that it is not as bad here as it is along the north eastern coast of the U.S. or other parts of the world. At least here, I can still drive for a few hours and get to a point where I can see the Milky Way with no problems. LPP ∇ Do you have a website? If yes what is the address? 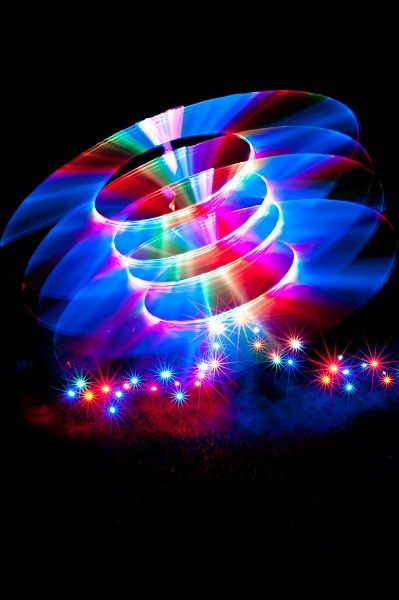 LPP ∇ What is Light Painting Photography? MR ∇ Light Painting Photography to me is Art! It is the photography equivalent to an artist using oils and a brush on canvas. It can be as simple as using light to highlight objects in a night photograph or can be as complex as creating an entire scene using nothing but different light tools and everything in between. Just like with oils and canvas, the art that is created is unique to the artist. How the artist uses these tools for creative expression is the ultimate beauty in what we do! 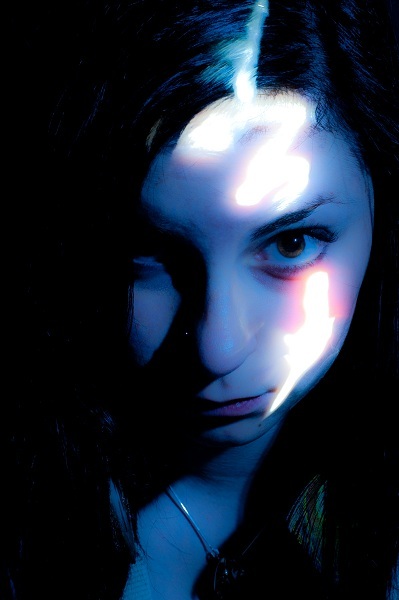 LPP ∇ Give me some advice for anyone that might like to try Light Painting Photography. LPP ∇ Are you scared of the dark?